The President. The president must be a director of the corporation. The member shall exercise the usual executive powers pertaining to the office of president. The president shall preside at meetings of the Board of Directors and committees exercising any authority of the board and of the membership. The president shall appoint committee chairs and members, with the approval of the Executive Committee. The president shall serve as state director for JEA and will attend two meetings of state directors per year at spring and fall JEA national conventions, or will appoint a designee to attend such meetings. The Vice President. In the absence or temporary disability of the president, the vice president shall act as president for the remainder of the president’s unexpired term. Should a vacancy occur in the office of the president, the vice-president shall fill the vacancy for the unexpired term, and a new vice president shall be appointed in accordance with Article V, Section 6. The vice-president shall coordinate the public relations activities of the association. The Secretary. It shall be the duty of the secretary to keep records of the proceedings of the Board of Directors and of the membership. 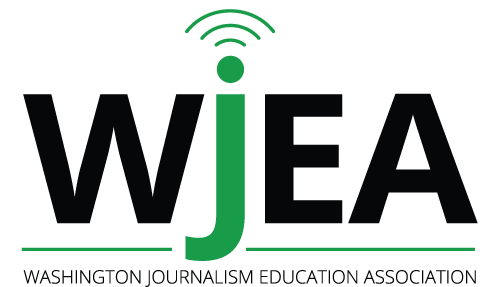 The secretary shall distribute minutes of the proceedings of the Board of Directors within ten (10) days of such proceedings to Board members and shall submit a summary of action taken by the Board of Directors for inclusion in the next issue of the WJEA newsletter. The secretary shall also create the WJEA Membership Directory, and distribute it to all members no later than December 1 annually. In addition, the secretary shall distribute membership information to new members (including both the directory and the WJEA Handbook.) The secretary will maintain records of all clock-hour recipients from programs offered by WJEA, in accordance with OSPI office of Professional Education and Certification. The Treasurer. The treasurer shall have the care and custody of and be responsible for all funds and investments of the corporation and shall keep regular books of account. The treasurer shall deposit all funds and other valuable effects in the name of the corporation in such depositories as may be designated by the Board of Directors, to sign and execute with the president all deeds, bonds, contracts, and other obligations, or instruments in the name of the corporation and, in general, shall perform all the duties incident to the office of the treasurer. Committee chairpersons shall submit written reports of all contests, workshops, and other activities of the corporation to the treasurer no later than six (6) weeks after the close of such an event. The treasurer shall reimburse members for all authorized expenses, provided proper expense vouchers are submitted promptly. The treasurer shall prepare and distribute the annual budget and prepare and distribute such financial reposts as may be required by the Executive Committee. The treasurer shall also maintain an updated mailing list and supply labels to various chairs and officers as requested, and disseminate revisions or additions to the membership directory. The treasurer shall maintain the database for membership record.